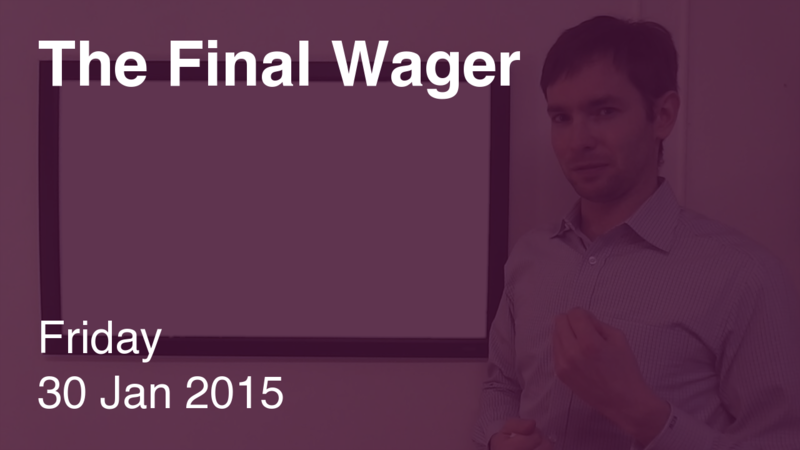 We’ve had a wild week of wagering scenarios, so what makes us think Friday will be any different? Big scores heading into Final tonight. Winner likely gets a big payday and a two-week break for the Teachers Tournament. Maybe he or she can spend those winnings on a nice filet mignon – or perhaps a chateaubriand? Learn more about beef cuts in my latest Fact Primer, published today. We’ll keep this to a bare minimum of complexity. 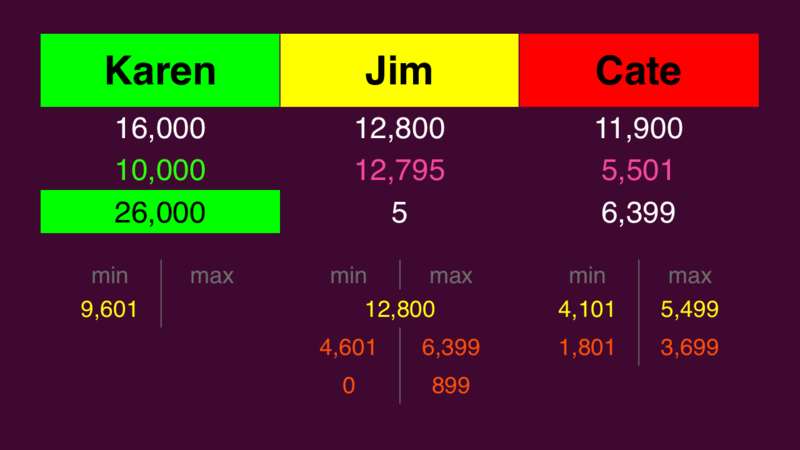 If Jim doubles his score, he’ll have 25,600. To cover this all-in wager, Karen will need to wager 9,600. 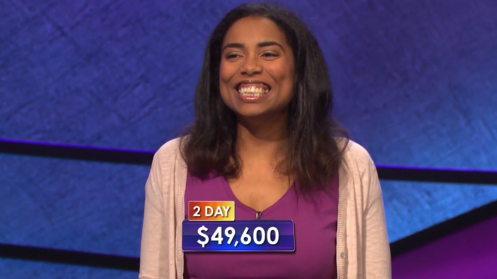 An incorrect response with that wager will leave Karen with 6,400. 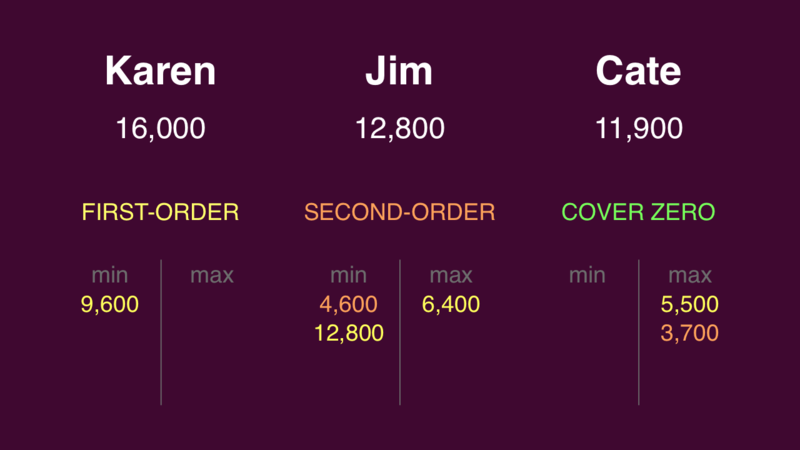 To stay above her total, Jim can wager up to 6,400. Cate can wager up to 5,500. If Jim wants to cover Cate, he might as well go for broke. This puts him in Stratton’s Dilemma. The only alternative wager that makes sense is Cate’s 5,500 maximum. 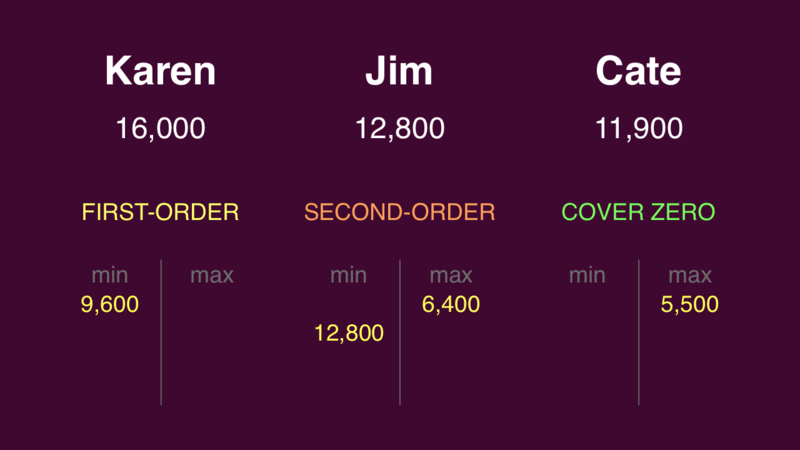 To cover that, Jim could wager 4,600. Were he wrong, he’d be left with 8,200, which means Cate should cap her wager at 3,700. …because you don’t want to add a dollar when you mean to subtract it, as Cate did here. 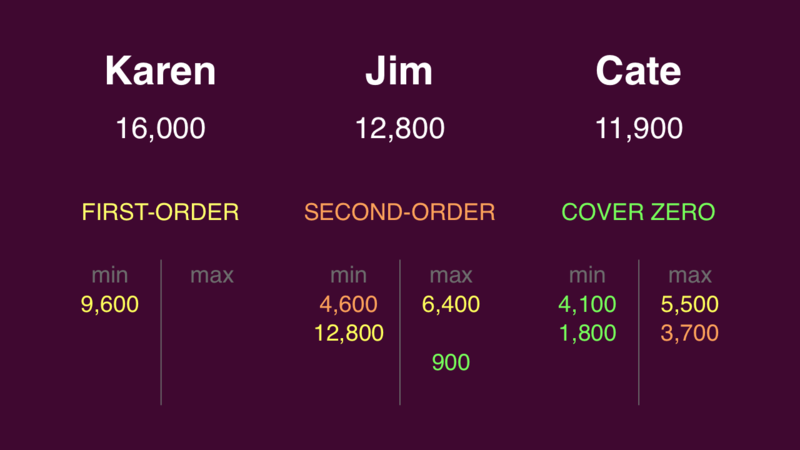 Had Karen missed and wagered 9,601, we would have gone to an unwarranted tiebreaker. This is why I put the wagers into columns – for easy dollar manipulation. I guess this means I should get to that new tutorial soon. That one gaffe aside, great wagers – and a great game – by all three of our players, and I’m excited for my fellow Brooklynite. How could you not be, when she again had such a genuine reaction after winning?